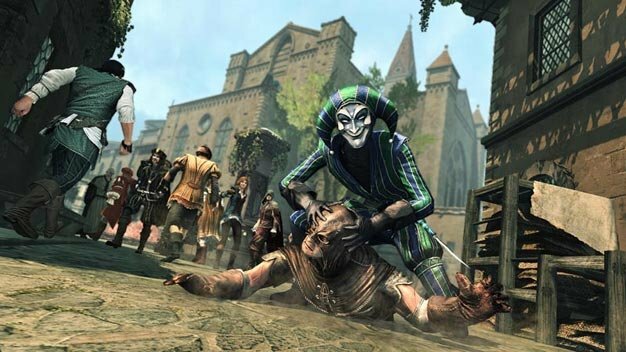 Ubisoft’s reveled an additional way to get access to Assassin’s Creed Brotherhood‘s multiplayer testing in the UK today. There are now two ways to go about it: either grab a pre-order of the standard, Auditore or Codex edition, or enter this GameSpot-only giveaway and pray to Lady Luck. As announced previously, the European beta kicks off early next month, on October 4th. Those in North America get it quite a bit sooner though: next Monday. It remains a PlayStation 3 exclusive in both regions. In sadder, yet perhaps predictable news: like both of its predecessors, the PC version of Brotherhood hasn’t been able to avoid a delay; it’s now scheduled for a Q1 2011 release, with no specific date given.